All this for a team-picking jockfest? Really? By Victor Fiorillo·	 4/27/2017, 11:45 a.m. 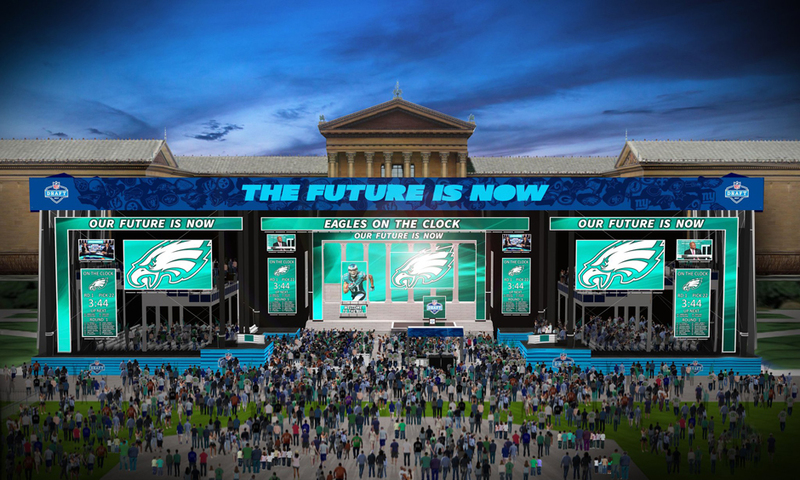 Rendering of the draft stage in front of the Philadelphia Museum of Art. For months now, I’ve been listening to city VIPs and the kind of guys who spend their free time playing fantasy football go on and on about how awesome it is that the NFL Draft is coming to Philadelphia. Well, now it’s here. And ain’t it great? It’s been weeks since the draft started taking over the streets of Philadelphia with all sorts of road closures, traffic chaos and construction that somehow required all that time to put up a stage and some lights. I’m sure that the labor unions are ecstatic. Gotta pay for that shore house somehow, amirite? Talk to any Uber driver — or just a city dweller with a car — who has been downtown in April, and they will tell you just how badly the NFL has screwed us. Civically engaged woman that she is, the mom immediately called 311 to find out why there were no cops directing traffic at the snarled intersections. She was 18th in line. When a 311 operator eventually did listen to her grievance, she was told that the only way to get the traffic cops out was for her to call 911. The people at 311 — Philly’s help line — couldn’t be of any help. “This is the worst it’s ever been,” she told us. I lost track of her after that. Hopefully she did make it. 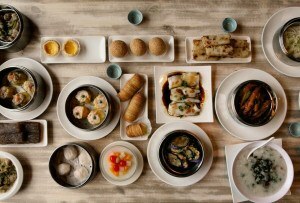 And all of this for what? What exactly is the NFL Draft? It can’t possibly just be a bunch of NFL teams picking their players for the upcoming season, can it? I mean, that can’t be what we’re doing all this for. A team-picking jockfest? Really? Of course, not every intelligent person in the city concurs with my view of things. Hold the phone! Did Hill really just compare the NFL Draft to two of the most hallowed events in Philly’s long and impressive history? Some of the people who like to defend the city hosting the NFL Draft have used the old exposure argument. You know, this is great exposure for the city, all the eyes of the world will be on Philadelphia, yada yada yada, blah blah blah, ad infinitum, ad nauseam. But, excuse me. We are the fifth-largest city in the country. Do we really need exposure? We got plenty for the Pope, an actual important, world-watched event of a magnitude never-before-seen in Philadelphia. And everyone tuned in again when the DNC came to town, bringing with it the Obamas and a veritable who’s who of A-list celebrities. So why on earth should the city be in lockdown mode for a bunch of future rapists, domestic-assault suspects, and drunk drivers who just happen to be able to catch a ball? And why are we taxpayers forced to fork over $500,000 (oh, you had better believe it will be more) toward the cost of what might just be the world’s most boring and overhyped event? Well, if you are here for the NFL Draft, welcome to Philadelphia, I guess. Please don’t pee on our streets. As for me, I’m getting the hell out of here shortly … assuming I can make it to I-95.